Our family has a tradition where every new years we eat oliebollen. 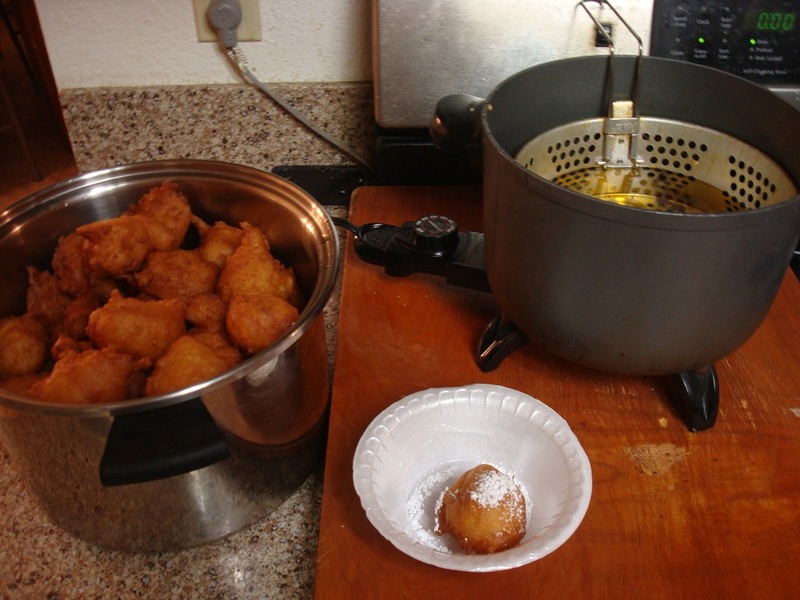 Oliebollen is basically a Dutch donut and literally translated in English means oil balls. 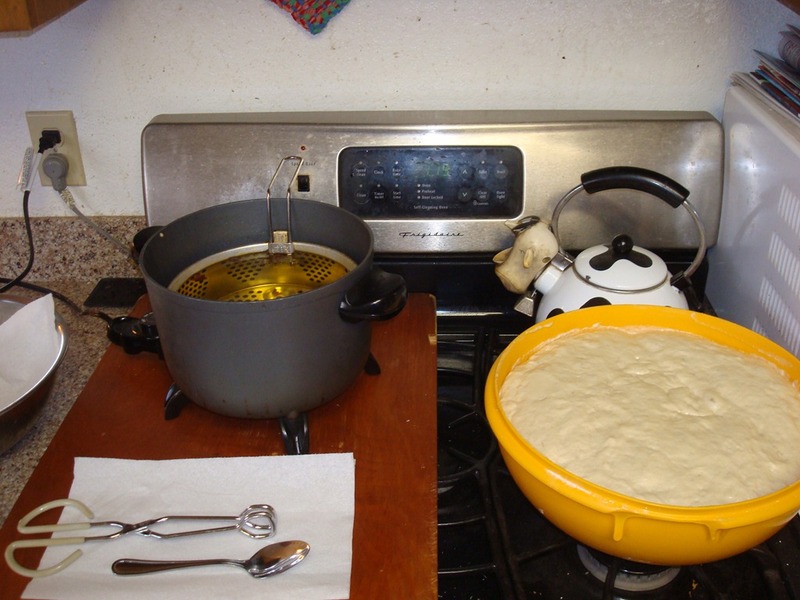 The dough is deep fried in oil, and taste like a greasy donut. Sounds strange, but just add some powdered sugar, and believe me they are awesome! The recipe for making the Dutch treat is handed down from generation to generation, so not everyone knows how to make them. My mom has our family’s secret recipe, and closely guards it from falling into the wrong hands. Many other Dutch families have their own recipes, and every year they make their version of the special treat. While many people only claim to make the best oliebollen, my mom actually does make the very best, and her recipe remains unmatched. Making oliebollen is actually kind of an art. You have to know how to make the dough the right consistency; otherwise you end up with a rock hard ball. My mom’s oliebollen are light and fluffy. Sometimes she adds apples or raisins to change things up. I don’t think I’ve meet anyone who hasn’t like my mom’s oliebollen. Traditionally oliebollen are only supposed to be eaten on New Year’s Eve, but at our house December is pretty much oliebollen season. By the end of December, we all feel ourselves growing into oliebollen so good thing we only eat them in December and not all year long. It’s an interesting New Years tradition, but I’m not going to complain. 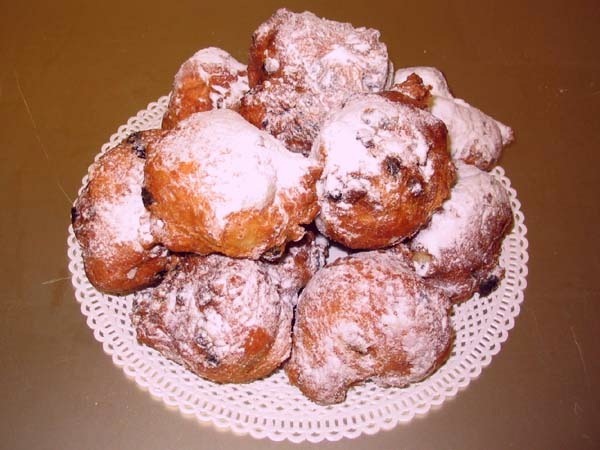 I like eating oliebollen.